We are thrilled to announce that TechHub Madrid is joining the global TechHub family! TechHub will be based at Campus Madrid, giving TechHub Members the opportunity to access the amazing resources available through Google and the other Campus partners - just like at TechHub London at Campus London. We’re very excited to be linking Spanish entrepreneurs into the ecosystems of London, Boston and Bangalore through the global TechHub Network. So all you London Members, of course you can use your membership to take a few days in the sun of Spain! We’re currently hiring for the TechHub Madrid team, so if you’re passionate about the tech community, join our team! 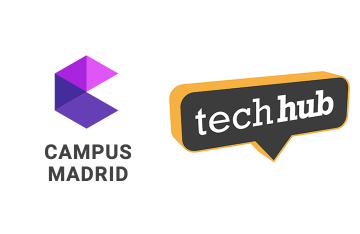 TechHub Madrid opens at Campus Madrid on 22nd June 2015 with membership opening soon. To be the first to know when you can apply, sign up to receive an email. ¡Os invitamos a uniros a nuestra comunidad!